God calls different people in different ways. Jesus sees four fishers and they immediately leave their nets in response to the call to “Follow me”. Jonah, a reluctant prophet, finally heeds God’s call and Nineveh is saved. How can we discern God’s call in our lives? With the psalmist we affirm that the One who calls us is steadfast in love. * Have you ever been reluctant to follow God’s call to you? * If you had been fishing on the shore and heard Jesus call, what questions would you have wanted to ask before you followed? What do you think onlookers thought at the disciples’ response? 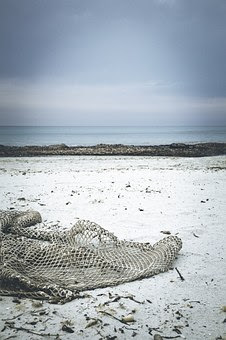 * What does it mean for you to “leave your nets” and follow Christ today? * How often do you think about your call to follow Jesus? What prompts you to think about it? For the Week: May I respond to your call with faith and courage. Throughout the Day: Help me hear and believe the good news. Blessing to Share: May God call you from old routines. Put your trust in God always: God is my rock and refuge. Christ our light, shine upon us. Think about the story of Jonah. Then think about Jesus on the shoreline saying “follow me”. Reflect on these questions: What if God is calling you to do something you don’t want to do? What if God is calling you to extend not only God’s mercy but your mercy, not only God’s love but your love, not only God’s forgiveness but your forgiveness, to people you don’t like, people you don’t believe deserve love and forgiveness and mercy? End your thoughts with a prayer. Rest in the love of God. FREE LUNCH – Gloria Dei serves Free Lunch this Friday. Stop by and help at 1105 Gilbert Court, IC, anytime between 11:00 am and 1:00 pm.